Cajun food?! Count me in! 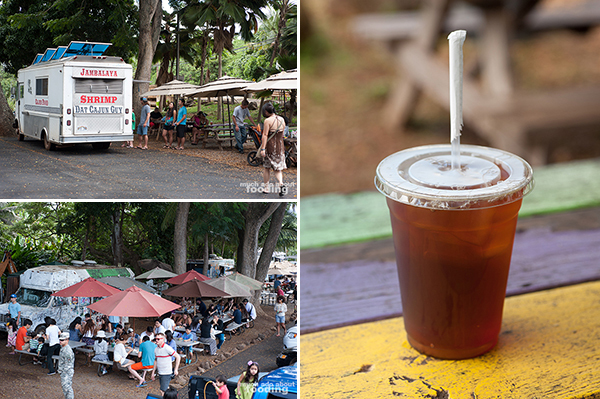 Food truck wrangle? Sounds intriguing. After an awesome skydiving adventure off the North Shore on Oahu, we were huuuuungry. The search for shrimp truck gatherings was on after we had heard how fantastic they were. On our way to another section of the North Shore, we came upon a large parking area where several trucks were set up. Surveying the scene, we were curious about all of the garlic shrimp dishes but what ended up really catching our eye was Dat Cajun Guy because it boasted New Orleans fare. It had been a long time since I had been to NOLA, and Duc had never had a proper po'boy before so we had to give this truck a try. I'm so glad we did. The long line was a telltale sign that we were on the right track to choose this truck as our lunch provider. As we considered what to get, the owner came out to talk to all the guests several times, even serving and refilling drinks. That's a major plus already in our books. The sign on the window indicated we could get ahold of Sweet Tea ($2.50) there so that was a must. This wasn't sweet tea like they have it in the South but it was definitely not a typical iced tea. 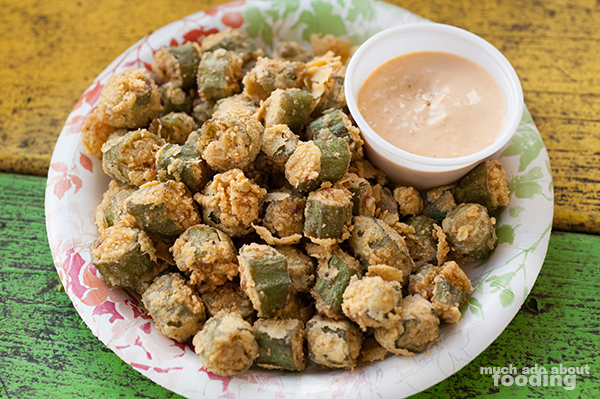 We also ordered up from their handwritten specials menu their plate of Fried Okra ($4.50), a staple of Southern side dishes. 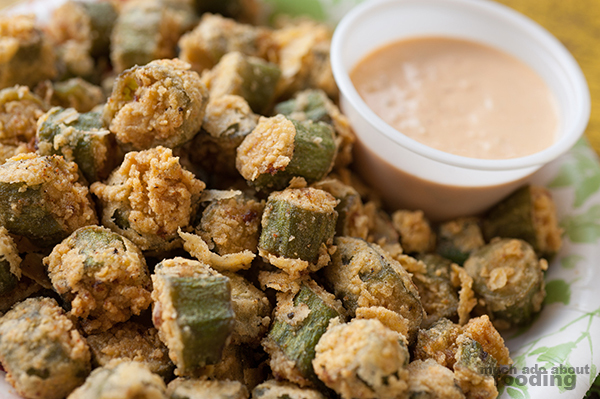 I really enjoyed how Dat Cajun Guy did theirs because the signature sliminess of okra was not present and the batter around each slice was well-seasoned and crunchy. I'd recommend you share a plate of these if you want a taste of the South. 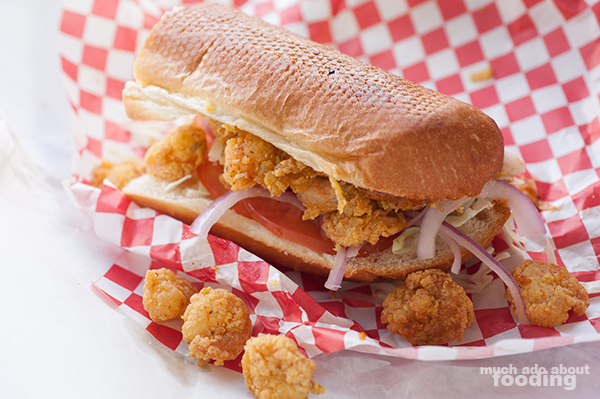 However, the real target for that truck was the signature sandwich of New Orleans - the Po'Boy. The truck's Po'Boys come on 10" French bread served with shredded cabbage, tomato, onion, pickles, mayonnaise, ketchup, and remoulade sauce. We weren't hungry enough to each have a whole one but since they offered half and whole portions, it gave us the freedom to try two types out. 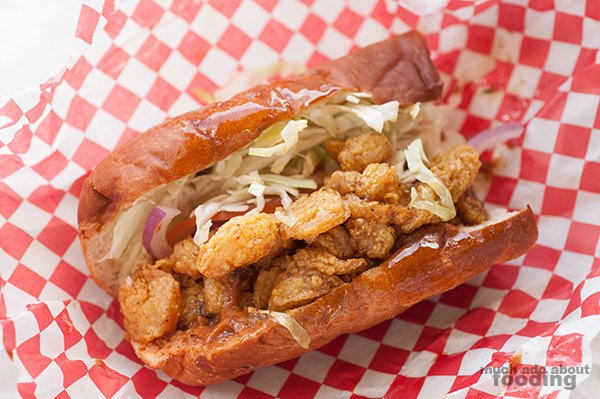 Though there were several options, we eventually settled on holding true to the shrimp truck gathering purpose and getting shrimp ones - the Fried Shrimp Po'Boy ($6/$10) and New Orleans Style BBQ Shrimp Po'Boy ($6.50/$11). I haven't had a po'boy so close to New Orleans style since being in NOLA itself; these were spot-on and true to form. The shrimp was so juicy in themselves, done to the right tenderness and battered in a delightfully crunchy and well-seasoned covering. They were certainly plentiful too per sandwich, spilling out over the edges and requiring some fork usage. Between the two, we were more partial to the first because it was not as saucy as the BBQ one. However, both had fresh, crisp vegetables, a creamy and tangy sauce, enough shrimp to make it worth your while, and proper bread to hold it all together (save for, after a while, breaking along the seam toward the end). 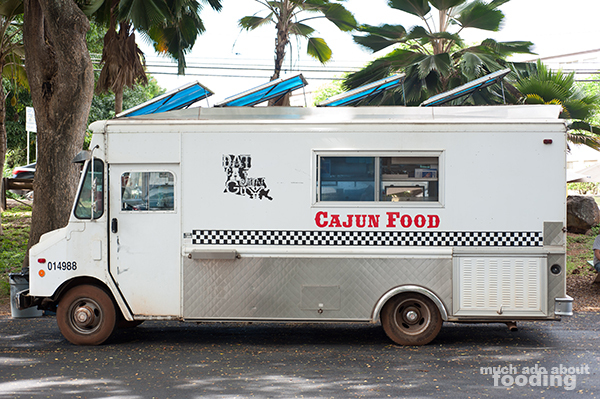 If you need your Cajun food fix, you need to get to Dat Cajun Guy.